Green Rubber Mulch is a great color for those who desire the fun, natural look of turf or grass for your playground or landscaping. All pricing in our web store includes shipping to destinations anywhere within the contiguous United States. GroundSmart™ Green Rubber Mulch is ideal for use in playgrounds as a safety surface, landscapes as a groundcover and obstacle course, ropes course and combat training courses as a safety surfaces. As a safety surface in playgrounds obstacle course, ropes course and combat training courses, GroundSmart™ Rubber Mulch meets the criteria required by the International Play Equipment Manufacturers Association (IPEMA) for certification as a playground or play area safety surface and wheelchair accessibility. GroundSmart™ Green Rubber Mulch not only looks better 365 days a year, year after year, it’s more durable, cost-effective, maintenance free and eco-friendly than engineered wood fiber (EWF), wood mulch and other traditionally used materials. 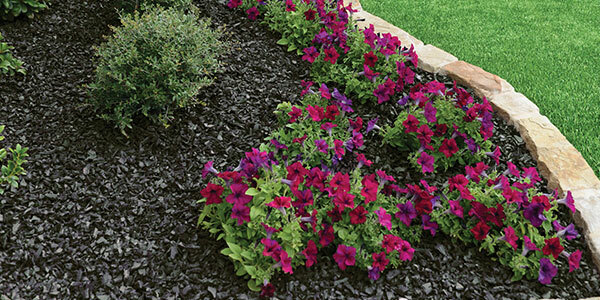 GroundSmart™ Rubber Mulch also comes with a 12-year Color-Lock guarantee and is 99.9% wire free. That means no mulching again until 2027!